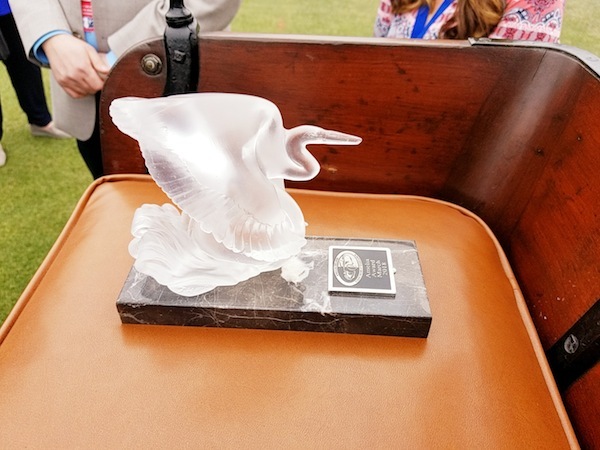 While at The Elegance at Hershey featuring the world's finest collector vintage and antique cars, the 1920 Carroll won a 2nd Place Junior Judges Choice Award, by the Hagerty Youth Judging. Due to inclement weather the Elegance was closed early in the afternoon. This car was built by Charles F. Carroll, founder of the Carroll Automobile Company in Loraine, Ohio. 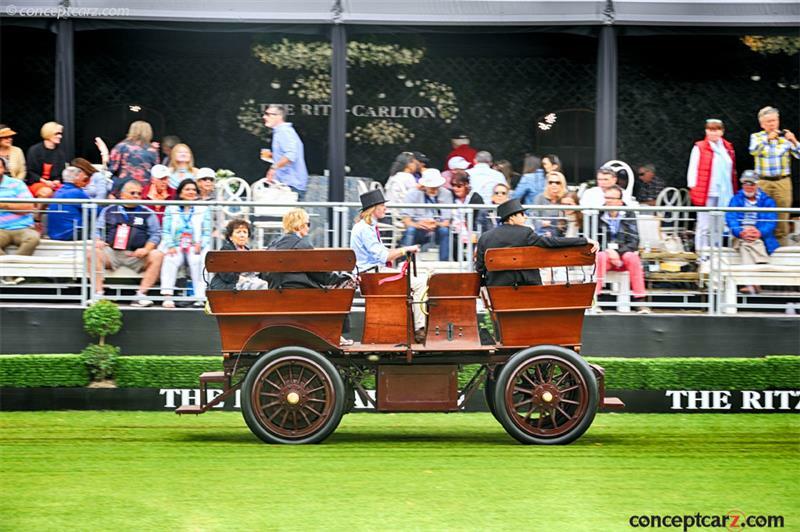 Although Mr. Carroll built 200 cars from 1920 to 1922 this 1920 Carroll was kept as his personal car, which was purchased by William E. Swigart, Jr. directly from the Carroll family in 1967, and it is believed to be the only one in existence today. It features a non-detachable California style top, and an aluminum body, and disk wheels. This car also incorporates the use of brass, nickel and chrome on features such as the head lamps, bumpers, and radiator. A unique feature of the Carroll Touring is that the radiator sits behind the front axle. Thanks to the hard work of the students at the Pennsylvania College of Technology, Williamsport, PA the Carroll car takes a test run around the parking lot at the college. 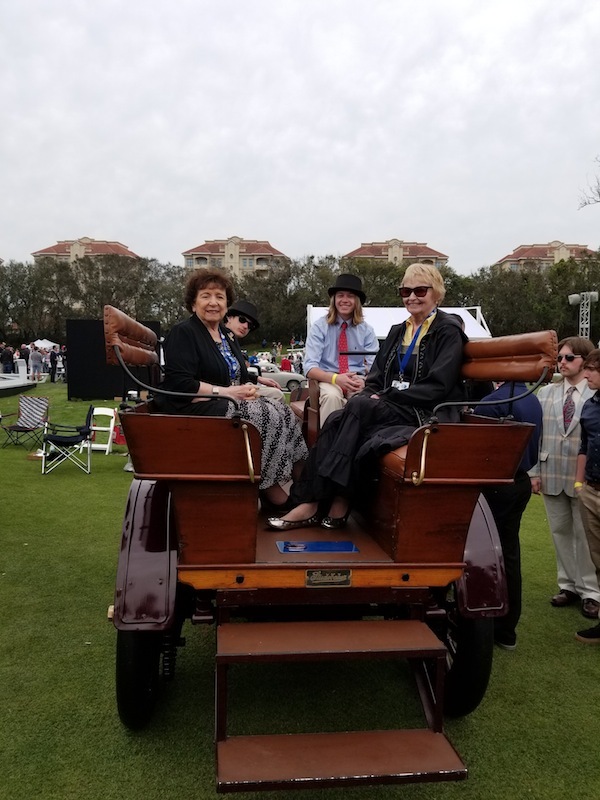 The Swigart Museum's 1908 Studebaker Electric won the Amelia Island Award at the Amelia Island Elegance on Saturday March 10, 2018. The students from the Pennsylvania College of Technology worked on the car and got it running for the first time in 25 years and were there to help us accept the award. The driver, Luke Miller, of the Studebaker Electric is one of the students from the college that worked it. Pictured left to right, Pat Swigart, Student, Luke Miller, and Marjorie Cutright in our 1908 Studebaker Electric 12 Passenger Congressional Bus. The National Association of Automobile Museums awarded the Lifetime Achievement Award for individual contributions to the auto museum profession to William E. Swigart, Jr. in 2004. Only two others share this prestigious honor: Henry Ford and William F. Harrah. 2010 - Radnor Hunt Concours d'Elegance 2010 held September 10th through the 12th, near Malvern, PA. The exhibition showcased the coachwork of Pininfarina, the history of Studebaker automobiles, and honored Triumph motorcycles. The William E. Swigart Automobile Museum and Pat Swigart were asked to exhibit our 1908 Studebaker Electric car. 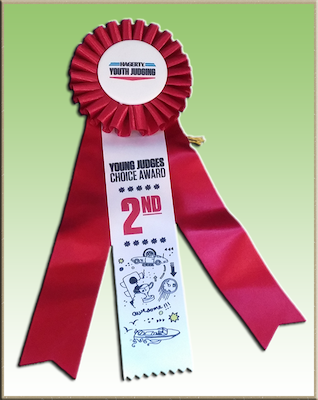 We are very pleased to announce our car was awarded First Prize in the Veteran Studebaker Category. 2007 - 1936 Duesenberg exhibited at the Meadowbrook Concours D'Elegance and Pebble Beach Concours D'Elegance. Listed in Great Car Collections of the World. Named one of the 10 best large auto museums in the United States by Car Collector magazine. Participation in some of the most prestigious automobile shows, including annual invitations to the Gran Feria Autos Antiquos D'Puerto Rico.